I went to the Dokeos users days at Geneva and gave a presentation about the Dokeos Portfolio. Wrote a book “Onderwijsvernieuwing: een continu proces” (Educational Innovation, a continuing process), which we presented at our “seventh day of educational innovation / 7de dag van de onderwijsvernieuwing”. Visited Italy (Naples, Pompei, Herculaneum). Pictures coming soon. Went to Cuba, for head-hunting joint-PhD students and the Universidad 2008 conference. A report in Dutch can be found at my professional blog. Pictures coming soon. As Thea Derks is retiring, I’m starting as head of our VUB Educational Innovation & Educational Service Center (OSC). We moved! From Brussels to Brussels. Mail me if you want our new address. 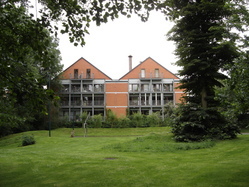 I’m appointed as guest professor for the Educational Technology course at the VUB teacher training. 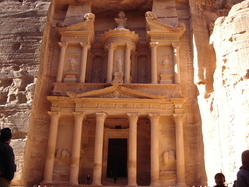 I’m back from a sight seeing trip through Vietnam, Cambodia and Laos. Now I should try to make some time for processing and publishing our 3000 pictures. 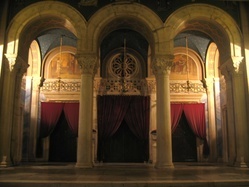 I visited the Dokeos conference 2006 in France, Valence, and stayed an extra day for sight-seeing. I attended a seminar about ‘Intellectual Property Rights‘ by Roger Kampf (Counsellor, WTO Secretariat). Interesting seminar, but I was disappointed that the lecture started by defining ‘the purpose of Intellectual Property Rights as to extract economic value through use or licensing’. I replied that I prefer the original idea that the purpose is (like mentioned in the US Constitution) ‘to promote progress of science and usefull arts’ and that ‘to allow economic value’ is the not the goal, but the mean. The lecture continued with a good discussion about TRIPS and finding the balance between protecting investments and not hindering public health treatment, e.g. in third world countries. I asked about TRIPS and soft patents: TRIPS on the one hand clearly states that software is protected by copyright, but on the other hand it is very broad about what can be patented, and TRIPS art 27 has a footnote which not only allows patents that have an industrial application, but also patents which are a useful utility. Software patent proponents use this as to argue that software patents would be allowed or even obligatory. Roger Kampf answered that TRIPS is not stating that software should be protected by patents, but that it leaves the “choice and flexibility” to the nations. Upcoming week there at least 4 interesting conferences in Brussels about Open Source, Internet and Technology: OSCON Open Source Convention, Drupal Conference, Govcamp and Barcamp. A few talks are directly educational related (e.g. “Using technology in education” by Dominik Lukes at Barcamp, and “Student registration using the eID” by Jurgen Lust from Ghent University at Govcamp). As the upcoming week happens to be also the only week between two academic years, it is the most busiest week at our OSC-department. Half of our department is giving off-site teacher training (“onderwijsprofessionalisering seminarie“). The other half (including me) is preparing our e-learning platform for the new academic year: not only applying the new subscription data, but also bringing into production all the new functionalities we developed over the previous year. So, we won’t find time for these nice conferences in our own city, but I registered for the Barcamp conference, which is on Sunday. Also some of our VUB-colleagues from the Knosos project will visit at least Drupalcon, Govcamp and Barcamp. 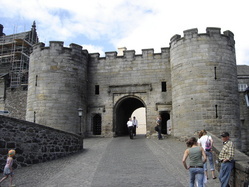 I spent some holiday in Scotland. I was invited for the kick-off conference of the “Science Education and Learning in Freedom 2006″ project in Den Haag (Netherlands). I followed a course about Project Cycle Management organized by the Vrije Universiteit Brussel and South Research. We organized our ““fifth day of educational innovation / 5de dag van de onderwijsvernieuwing”. I visited the Pubelo study day around learning objects and meta data with talks by Erik Duval and Wayne Hodgins. I attended the Pierre-Théodore Verhaegen chair about Freemasonry and Social Progressive movements. 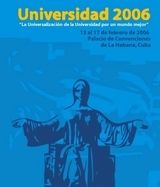 I was invited as a keynote speaker at the Fifth International Congress on Higher Education UNIVERSIDAD 2006″ in Cuba. I talked about the advantages and opportunities of Open Source Software for education. See my Cuba pictures. I attended the Academic session in the Gothic Room of the Brussels Town Hall for 150 years of Flemish students in Brussels. Afterwards I attended the piano recital from Frederic Rzewski. Rzewski is in favor of the Copyleft concept for his music. I visited the workshop “e-learning standaarden en interoperabiliteit” (e-learning standards and interoperability). I had a nice meeting with the people from the Knosos project. 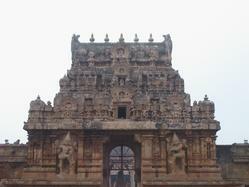 Their aim is to build a social network for sharing knowledge. 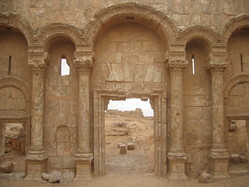 I visited Syria and Jordan. I visited the Dokeos User Day. I gave a seminar at our university about intellectual property and privacy in e-learning. I had a paper and a presentation about ‘Choice for Dokeos – Strategic choice for and implementation of an open source e-learning platform’ at the ‘Third International Conference on Open and Distance Learning’ in Greece, Patras. See also my Greece pictures. I gave an invited lecture about ‘Open courseware and Open scientific publications at the Study day Free Software in education at the KU Leuven. I visited the AV studio product days and seminars. I joined the academic demonstration against software patents. See also these pictures. I defended my PhD, entitled “Contributions to Clustering and Feature Selection Methods for Clustering”. Soon my thesis will be online. So long, you can take a look at my my research Page or invitation flyer. See also the report on the campus site. I was elected as president of Boves. I gave an invited lecture about our ‘Generic portfolio system as part of the PointCarrï¿½e-learning platform’ at the Study Day “Portfolio use in higher education” of the Erasmushogeschool Brussel. I gave an invited lecture “Advantages and possibilities of Open Source Software” for a study day organised by the Vlaams Software Platform, the WTCM and the IWT. I gave an invited lecture “Open Source (Free) Software, Open Standards, Open content for education” at the Erasmus Hogeschool Brussel. 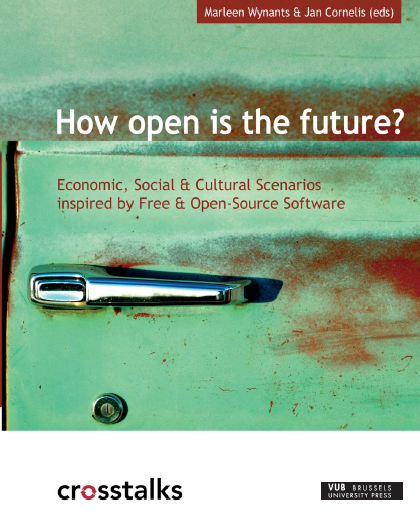 The book “How open is the future? Economic, Social & Cultural Scenarios inspired by Free & Open-Source Software” for which I (together with Wim Schreurs) wrote the chapter “Open Courseware and Open Scientific Publications” was presented 3 feb. during the VUB Crosstalks – DISC release-event “The Future of our Digital Commons” in the presence of about 60 participants coming from various universities, from the industry and from European, federal and regional policymakers. (see Photo-Report). 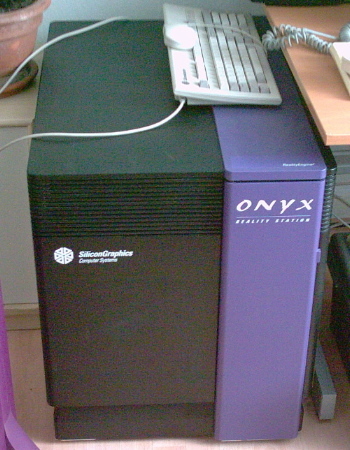 I obtained a Silicon Graphics Onyx Extreme Graphics Supercomputer. See my Unix computer collection. I visited the “Plone Conference” in Vienna, Austria. I’m co-organising an educational congress “3de dag van de onderwijsvernieuwing”, and giving a presentation about our new Open Source e-learning platform PointCarre. 20/03/04I recently contributed quite a few (Linux) HOWTO’s. 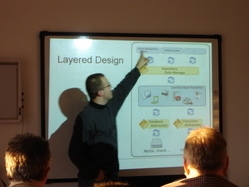 I gave a seminar about Open Source (Free) Software, Open Standards and Open Content for education. Due to success, this will be repeated 30/04. I was visiting the FreeEdem meeting and a bit of the Fosdem meeting. I succeeded in the LPI 101 Linux administration exam. I visited the Windows by Day, Linux by Night. (Note: I’m a day and night Linux and other Unices user). Update of my Unix computer collection: I recently obtained 2 Sun Sparcstation 5 computers, a Sun Sparcstation 2 and Mass-storage, and a HP 9000/715. I became the president of OSAB, my alumni association. I visited the “Plone Conference” in New Orleans, Louisiana. See my New Orleans pictures. I visited the seminar “Portfolio in higher education” in Zwolle, the Netherlands. I’ve got a new nice computer to admin at work: Dell PowerEdge 4600, dual 2.6GHz Xeon, 4GB RAM, 3×36GB SCSI 10000 rpm disks, 40-80GB Tapestreamer, Redhat Linux. We are going to use it for testing and developping e-learning environments. 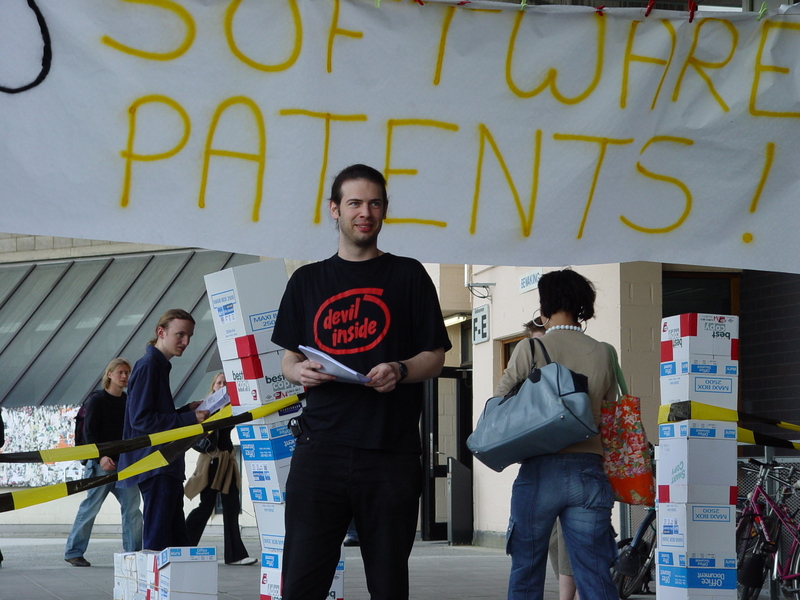 I went to the demonstration against European Software Patents. I’m co-organising an educational congress “2de dag van de onderwijsvernieuwing”, and giving a presentation about electronic student portfolio’s. 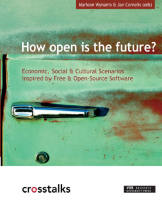 I visited a congress about Open Standards and Open Source Software in the Netherlands.